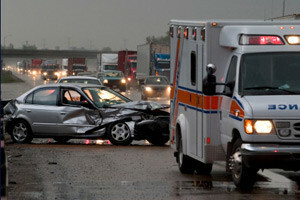 A car accident can be unexpected and even the safest drivers may be a victim to accidents on the road. Although auto accidents can be very stressful, intimidating and overwhelming, it is essential to remain calm and follow the steps needed to secure your safety and welfare. 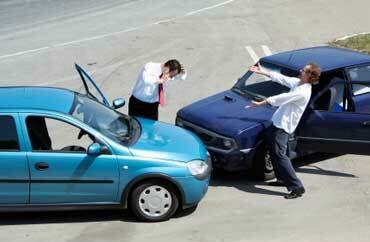 Here are some important steps to follow in the event of an auto accident. If you are involved in an auto accident, the first thing that you need to do is to make sure that your vehicle is in a safe location. If you are in the way of incoming traffic, safely move your vehicle to the side of the road and turn on your hazard lights. Having this information available will make the post accident process smoother, be sure to keep your insurance information in your car with you at all times. Law enforcement will ask you for your drivers license at the accident scene, be sure to have your drivers license with you at all times. Gather full legal names, addresses, and phone numbers of any possible witnesses as well as drivers involved. Make sure to gather the license plate number, insurance information, and vehicle information from all parties involved in the accident. Make sure to check for any injuries on yourself and passengers. Even if there are no physical injuries present, it is wise to immediately seek medical attention ensure your safety. This entry was posted in Blog, Personal Injury and tagged accident, CAR ACCIDENT LAW FIRMS, Car Crash, Injury Compensation, tampa personal injury attorney. Bookmark the permalink.